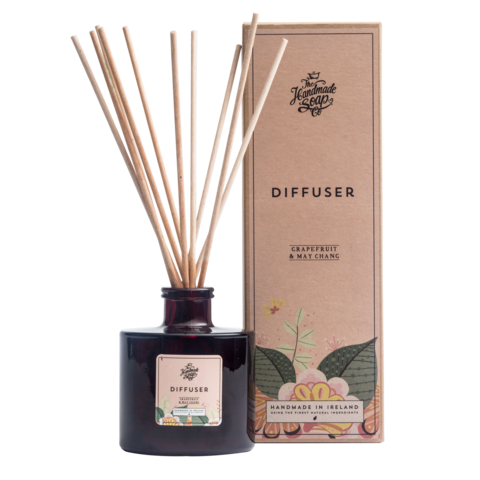 Using a diffuser is also a great way to keep cold, flu, and other such illnesses at bay for a few different reasons. Firstly, many essential oils are powerfully anti-microbial and when introduced into the air in vapour form, the organic compounds within the oils come into direct contact with airborne pathogens before they can invade your body. Second, essential oils can also be used to boost the immune system. If you are prone to allergies or other breathing disorders, try diffusing essential oils in the room (or rooms) of your home where you spend the most time. Grapefruit Like the essential oils of most citrus fruits, grapefruit essential oil has an uplifting and relaxing effect on mind. It induces positive feelings of hope, and relieves anxiety and stress. This effect comes from two sources. Firstly, due to its aroma. Secondly, due to its stimulating effects of certain hormones that have uplifting effects on the brain. It also stimulates the nervous system and makes you more active and alert. May Chang The essential oil derived from the pepper-like fruit of the Chinese may chang tree. When used in diffusers or vaporizers, may chang creates a cheering atmosphere. perfect for relieving fatigue and lethargic psychological states. So when you are suffering from a severe case of the blues, a few drops of May Chang oil in a diffuser provides a quick pick-me-up. This oil is often used as a tonic to the nervous system therefore making it ideal for clearing your head when you are feeling anxious, stressed or befuddled.